What moves faster than the internet? OK, maybe light. But besides that, it's hard to find something more fleeting, rapidly changing and dynamic as the voice of the online community, which ultimately shapes the contemporary creative landscape both on and off the screen. As it happens, sometimes the artists who are most celebrated by the collective interweb are the same ones who later are in the throes of its fickleness. 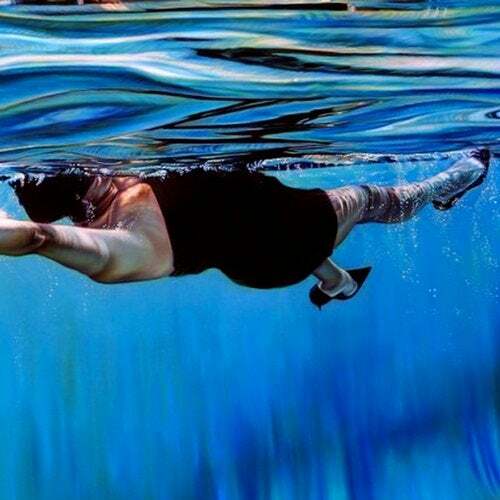 In the case of Lee Bannon, he's managed to slip into the elite of so many disparate (yet all discerning) scenes that even the speediest of hype surfers can't seem to keep up with his sonic shapeshifting. After an initial rise in the world of hip-hop (self-releasing beat tapes, collaborating with rap royalty like Souls of Mischief and Hieroglyphics and producing and DJing for Joey Bada$$ and the Pro Era crew), Lee Bannon turned his attention to a more ambitious, unconventional and decidedly anti-fad cause: taking influence from Goldie, Aphex Twin and the legacy of drum & bass and jungle to craft his debut LP Alternate/Endings. The album, released in January 2014 on Ninja Tune, was percussively dense, somehow both raw and razor-sharp, and featured enough peaks and plummets to blow the snapback right off the expectant hip-hop head's skull. Despite (or perhaps because of) the bold shift from previous work, the album was released to critical acclaim with words of praise coming from Rolling Stone, Resident Advisor, FACT, Pitchfork, The Guardian and more. Never one to stagnate, Lee Bannon has spent the subsequent months further honing his skills as a hotly-tipped collaborator (working more with Joey Bada$$, Wiki and producing Mick Jenkins' newest single, as well as more credits to come later this year), touring extensively (including a run with Trash Talk and Ratking in North America) and turning his attention once more to the studio for solo work. His sophomore LP on Ninja Tune, Pattern of Excel, again signals a movement away from the ground he's already covered and toward his own vision of the leftfield future. Gone are the rapidfire breaks and growling b-lines of his debut, replaced instead by a considered exploration of ambient soundscapes and drone influences. Though less immediately demanding of the listener's attention, Pattern of Excel shines in its quietude: the bokeh which filters through 'Artificial Stasis', the distant but steady build of 'Memory 6', the strings sadly quavering into a melody on 'Disneu Girls'. Rather than a departure, Pattern of Excel can only be considered a continuation of Lee Bannon's proven flexibility and commitment to innovation and progression. Few artists can say they've found success in so many circles yet claimed allegiance to none. Even fewer have either the innate ability or even the confidence to make such bold stylistic leaps, to soak up the digital torrent of the global music underground and re-imagine it with such veracity.